Security isn’t just about detection systems like CCTV cameras. It’s all about locking down all possible entry points of criminals. Security incidents can happen anytime, anywhere. Email protection, for instance, is one of the most targeted aspects of an organization. It’s safe to say that email protection plays a huge role in a company’s success. Hence, it is best to use a spam filter server for stronger email protection. Email is one of the most essential tools for corporate communication. No doubt, it stood out as the modern generation’s business standard. Back in the day, people used email for personal communication. As years passed by, email has become the most trusted platform for corporate communication around the globe. It transforms business transactions to a whole new level. With email, being as popular as it is, comes a few disadvantages. Email spam is a living proof. 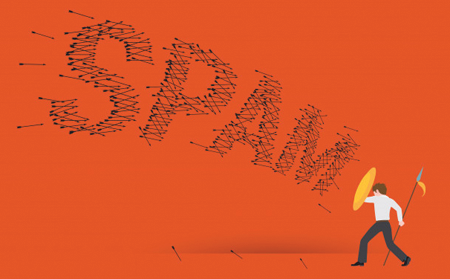 True enough, eliminating spam is impossible. Still, it is best to try ways to improve email protection. Choosing a spam filter server like Comodo Anti Spam Gateway can be a great option. Remember the time when email spam brings nothing but pure annoyance? Sad to say, it now transformed into a more dangerous threat. Threatening email spam is a product of hackers’ evolving techniques. Email spam today is no longer about unsolicited advertisements. Hackers use email spam as a medium for successful phishing attacks. This is where the need for stronger email protection comes into play. The total cost of successful phishing attacks involves millions. This explains why the number of hackers and new hacking technique exist from time to time. What’s even more surprising is that hackers have found ways to target users of different job functions. People from the top-ranking departments are vulnerable to all forms of cyber attacks. Phishing, for instance, is one of the most common forms of cyber attacks that harm a company's CEO. Their access to corporate files is a good reason why hackers find them attractive. Protecting high-ranking positions may not always be possible. Yet, investing in a spam filter server can help improve email protection. Administrative staff is the backbone of a successful business. They are responsible for tasks that involve scheduling and monitoring. Hence, they often have access to the company's sensitive data. Other administrative assistants may also have access to executive accounts. These privileges are the reasons why they are valuable to hackers. Often, an email targeting admin staff involves a request from an executive of another company. Successful attacks happen when an admin staff provides data such as financial information. An effective way to prevent this type of attack is by choosing a spam filter server. Such spam filter server can help improve stronger email protection. It’s safe to say that all employees can be a target of phishing attacks. Hence, anyone from the company with an email account should value email protection. Security awareness is an important factor in the success of an organization. Thus, training programs are a must. While it’s important to invest in security training programs, it’s also necessary to choose an online spam service. Spam filter server like Comodo Anti Spam Gateway can help strengthen email protection. Why spam filter server for stronger email protection? All employees may be susceptible to these attacks. Hence, all organization of any industries may be a victim of security threats. This is where the need for a spam filter server like Comodo Anti Spam Gateway comes into play. Comodo Antispam Gateway has a pre-perimeter defense that combats email spam and phishing attacks. Hence, reducing your company's exposure to security incidents such as a data breach. All employees regardless of their function can be a target of phishing attacks. Thus, it is best to improve email protection. Protect your organization against phishing attacks. Strengthen your company’s email protection. Choose a reliable spam filter server today. Choose Comodo Antispam Gateway! For more details about the spam filter server, visit our website or click here for free trial.